NEW YORK—Alex Rodriguez's first World Series appearance and the Philadelphia Phillies' attempt to repeat as champions may have emerged as the dominant October subplots, but ESPN baseball analyst Peter Gammons said Tuesday that another fascinating angle of the 2009 Fall Classic is a sub-subplot involving Hall of Famer Yogi Berra's brief drive through Philadelphia during a trip to Washington, D.C. in 1953. "It just goes to show you how much history these teams have," Gammons said on Baseball Tonight following a seven-minute segment detailing a wrong turn off I-95 by the former Yankees catcher. 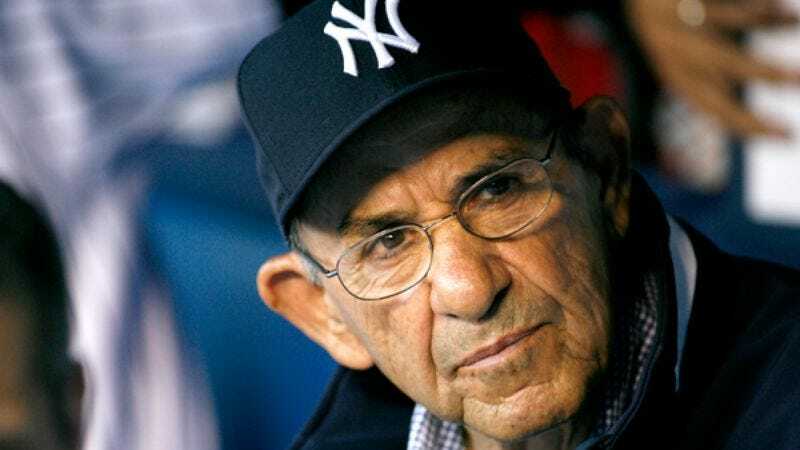 "Imagine, 56 years and four months to the day before CC Sabathia starts Game 1 of the World Series, Yogi Berra was actually in Philadelphia and may have passed by the Liberty Bell. I'm not saying the Series will come down to this, but it's definitely something to keep in mind." Gammons added that a sub-sub-subplot for fans to watch involves former Yankee Scott Brosius, who attended high school with Meryl Fornadel, aunt of Helen Fornadel, who was the principal of Canyon View Elementary School, which is in the same San Diego school district as the elementary school Cole Hamels attended.